Check RERA Sales Insights NEW! Ajmera Exotica is one of the residential development of Ajmera Realty, located in Pune. It offers RK, 1BHK and 2BHK apartments. Project has been designed to facilitate perfect living conditions with optimum light, ventilation and privacy, coupled with fresh and green surroundings, each apartment brings the joy of unhindered living. In which area is Ajmera Exotica located?The project is situated in Wagholi, Pune. What is available flat size in Ajmera Exotica? Flat sizes in the project range from 729.0 sqft to 990.0 sqft. What is total area of 1 bhk in Ajmera Exotica? 1 BHK unit in the project are available in an area of 729.0 sqft. 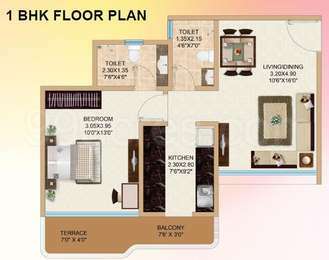 How much is area of 2bhk in Ajmera Exotica? Two-room units (2BHK) in the project are available in an area of 990.0 sqft. What is the area of Ajmera Exotica?The total area that the project occupies is 2.47 Acres. What is total price of 1 bhk in Ajmera Exotica? 1 BHK units in the project are available at a price tag of Rs. 3299454.
hitectures are Royal Classic, Shastri Nagar, Citi Mall, Green Access, Ajmera Housing Complex, Centre Point, The Software Park etc. Ajmera Developers are the creators of Asia?s largest township ?Shantinagar? located in Mumbai and has also built the largest garden in Mumbai on 25 acres of land.